There are plenty of modern amenities that make Sky Vista a simple vacation destination that can easily accommodate a relaxation mode. Partial air-conditioning is available in both bedrooms of Sky Vista, and there’s a nice barbeque outside for enjoying good weather. It’s only a short walk to both Gustavia and Shell Beach, and the villa sports a nice sunset view. Besides that,There’s a dishwasher and coffee maker, along with ceiling fans, a telephone, and washer and dryer. There’s a pool for lounging after a long day at the beach, and Sky Vista works nicely for two couples to stay, or for a honeymoon destination. Incredible sunsets from all rooms! 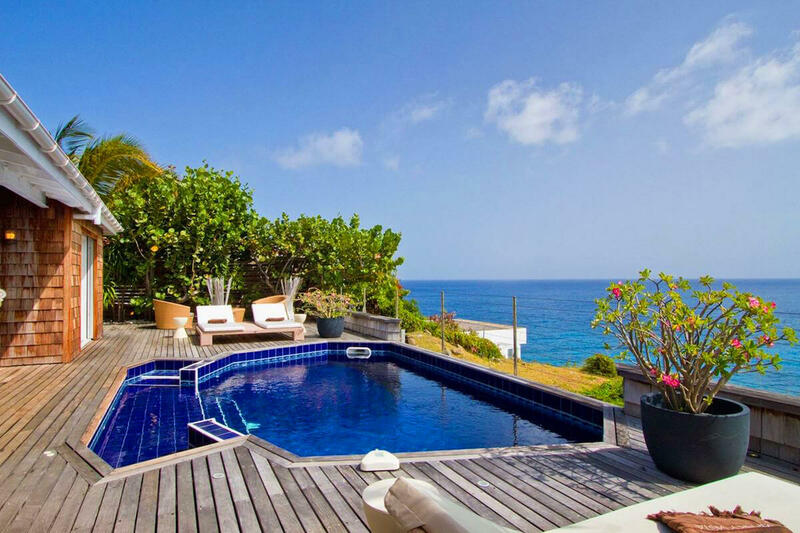 Sky Vista is near the town of Gustavia. Gustavia is a short walk to popular shopping and lovely restaurants. Sky Vista has 2 separate bedrooms at either side of the house, each with its own bathroom. Picture windows opposite the beds look out onto the terrace and the sea. In the center, an outside lounge leading onto the terrace, bedrooms and pool. The practical kitchen opens onto the lounge area. On the other side, there is an area for relaxation with a large screen plasma TV.